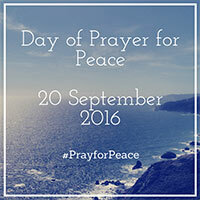 The moment of prayer for peace will take place at 4 p.m (Rome time) in the lower Basilica of St. Francis’ Church. There will be an ecumenical prayer for Christians in the presence of representatives from other religions. All of the participants will gather at St. Francis’ Square for a closing ceremony.